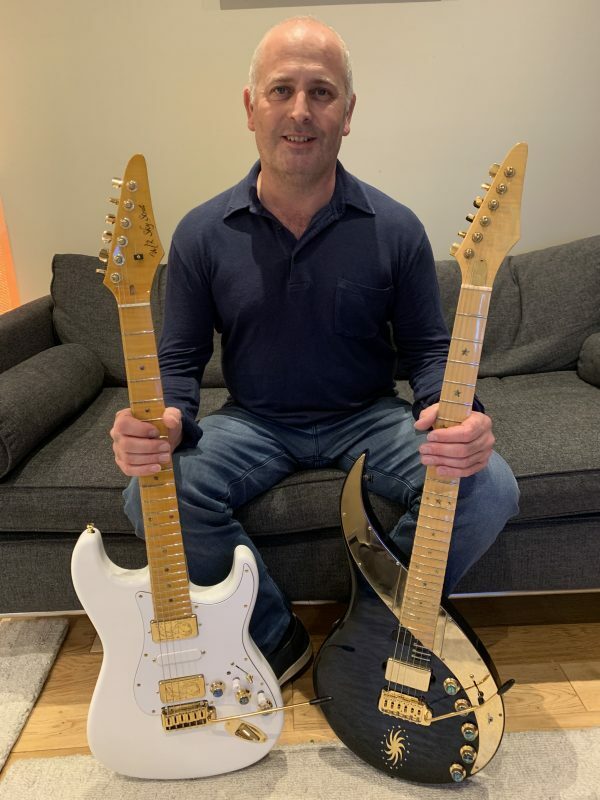 As a proud owner of both an original 50 limited edition Sky Guitar #7 – ‘Sapphire Star’ – and a more recently acquired Sky Super Strat #2, I feel well equipped to confirm that these are absolutely outstanding guitars. The build quality and craftsmanship are truly exceptional, they emanate true beauty and they sound incredible! In addition to the beautiful look and feel, the scope of versatility in terms of tone from the Mega Wing III pick up system is so comprehensive that once you have become accustomed to the realm of possibilities, it becomes difficult and somewhat unnecessary to pick up any other guitar. The clarity, power and precision of the EQ at your fingertips is simply magical! Both of my guitars are 6 string and have scalloping from the 7th fret. The Sky Strat features a lighter version of scalloping which along with the traditional shape, makes it instantly playable. The Sky Guitar for me personally, took some adjusting to at first due to the longer fretboard and its extended capabilities. 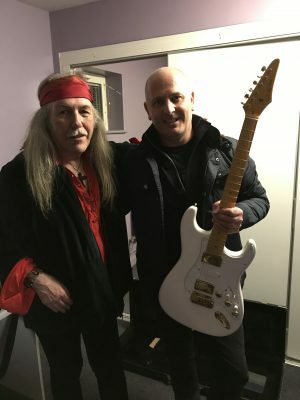 I have been privileged to witness Uli performing live with both of my guitars at various shows that he kindly invited me to. He is a true gentleman and a pleasure to deal with. Thank you to Uli and Boris for these magnificent instruments!